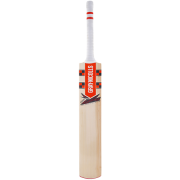 The full range of 2019 Gray Nicolls Cricket Bats will be available to pre-order from 1st November at All Rounder Cricket. 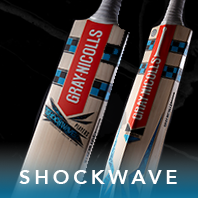 Gray Nicolls have added to their best selling range of cricket bats with some new models such as Kronus - 'King of the Titans' and the Powerbow 6 - 'Six and still not out' which are sure to be a great success alongside their highly successful current ranges. 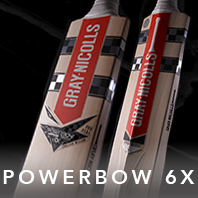 SIX and still not out - The sixth edition of a Gray Nicolls classic, the Powerbow 6 has a long exaggerated bow which is enhanced by an imposingg low, full-blade profile. Making it the ideal bat for players looking for the ultimate innings. 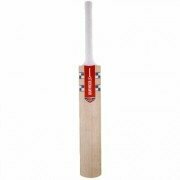 Our current offerings include the 1000, 900, 800, 800 Extreme, 700 Lite, 600, 400, 300 and five Gray Nicolls Powerbow 6 Junior Cricket Bats to choose from. 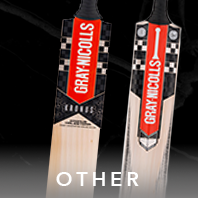 The return of a Gray-Nicolls icon. The Predator 3 is a full blade profile developed in conjunction with our brand ambassadors that is classical yet uncompromising in power. Predator 3, is sure to set the standard once again on the world’s stage. 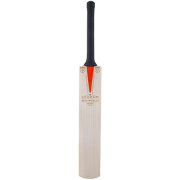 Our current offerings include the top of the range 2019 Gray Nicolls Kronus Halestorm Cricket Bat, 1000, 900, 800, 700 Lite, 600, 400, 300, 200, 100 and two Gray Nicolls Kronus Junior Cricket Bats to choose from. The Legend Cricket Bat is the pinnacle of 160 years of bat making history and heritage. Fully endorsed by ex England Captains and former Ashes winners Alastair Cook of England, Andrew Strauss. The great thing about the Legend having a mid-blade strike zone is that it suits both front and back foot play which makes this equipment so appealing to all kinds of player around the world. 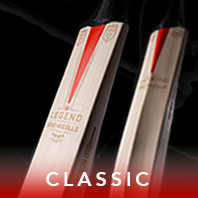 The Classic Collection continues for 2019, including the Pro Performance, Prestige, Players, Ultimate and Sabre variants for those batsman who take the game very seriously. With a mid-blade strike zone again this equipment is ideal for both the front and back foot player. Our current offerings include the Limited Edition (LE), Players, 5 Star, 4 Star and 500 Lite. In a time where power is key, the Velocity XP 1 provides it to you in abundance. Beautifully crafted and balanced, never velocity xp1 sacrificing the perfect pick up and visually intimidating to provide any player confidence to take on the challenge. Our current offerings include the Limited Edition (LE), Players, 5 Star, 4 Star, 500 Lite and 400. The Kaboom Bat again gets a revamp for the new season fully endorsed by huge hitting Australian Batsman David Warner who has established himself as one of the game's most explosive batsman. With a dangerously large profile and huge edges, this equipment will give any player the confidence to clear the boundary ropes time after time. The F18 range has been revamped for the 2016 season and with a profile that provides enormous power high in the blade to suit the style of player that loves to take on the bowling. A full profile, developed in conjunction with our International stars, has been created to ensure every shot gets maximum reward. The range has a Mid/High blade zone which is ideally suited to those attacking players who really like to get after the bowling constantly. The Omega XRD range also has been remodelled for 2016 and was a huge hit previously with our International ambassadors, the Omega XRD provides everything a batsman needs at the crease. The unique weight distribution in the shoulders enable a huge profile, high sweet spot and the perfect pick up. XRD handles are fitted as standard, providing the feel and performance demanded by our Test Match stars. 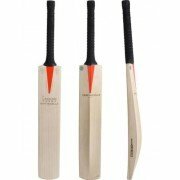 Gray Nicolls - The Willow Story Unique to the industry, Gray Nicolls grow only the finest English Willow for the production of their Cricket Bats. Salix Caerulea or Alba Var varieties are grown and harvested by the company in a willow replenishment programme pioneered nearly 100 years ago. The clefts are air-dried for approximately 6 weeks to ensure perfect moisture content and the very best performance. Every aspect of the bat making process is carefully overseen to guarantee a product of excellent quality. All bats are given a final quality control inspection. Performance is tested using a Lignum Vitae Mallet. 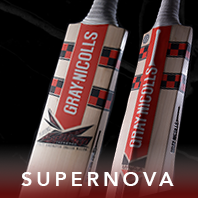 In this way the world renowned quality and performance of Gray Nicolls Bats is ensured. 1. Unloading – The willow arrives in Robertsbridge and is cut into roundels. The roundels are sealed and left to dry for a few days. 2. Splitting – Each roundel has its bark stripped and is marked ready for splitting into clefts. A cleft in its roughest form is cut and ready for machining. 3. Drying – The cleft is graded at this point and left for 6 weeks to air dry which reduces its naturally high moisture content. 4. Handle – The handle is turned on a lathe to create the perfect shape. Each handle is then fitted into the cleft by hand. 5. Shaping – Our “Master Bat Makers” ensure each bat is shaped to provide optimum balance, pick up and performance. Bats are carefully sanded and buffed to give them their finished look and feel. 6. Pressing – Each bat is then pressed, compressing the natural fibres enhancing the performance of each bat and providing the blade with its bow. 7. Binding – The handle is then bound and glued to add more strength. 8. Labelling – Finally the labels are carefully applied and the grip is fitted.